On the third floor you’ll find: The core exhibit “Wichita the Magic City” which chronicles Wichita’s first fifty years. This is where the Museum begins to tell our local story, beginning in the 1860s with a prairie wilderness developed into the fastest growing city in the United States. 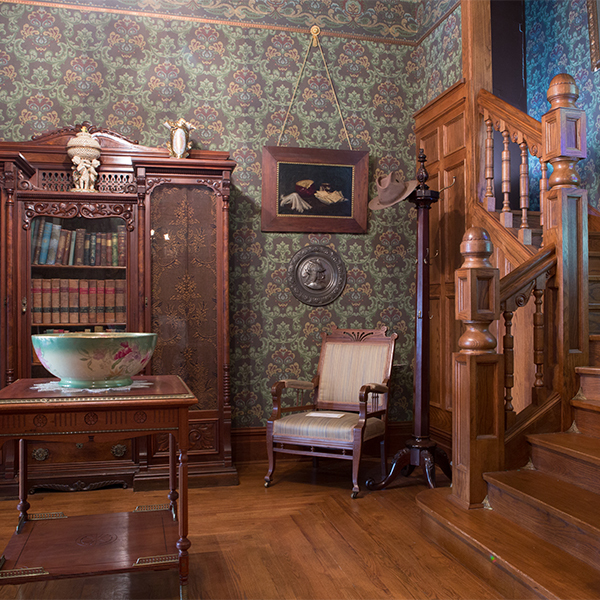 Also on this floor is the Victorian House immersive exhibit depicting home typical of the emerging middle class in Wichita. Also on this floor is the Lois Kay Walls Art Gallery featuring local art and the Civics and Government Exhibit featuring the 1890s office of the Mayor. The Museum’s restrooms are also located on this floor.